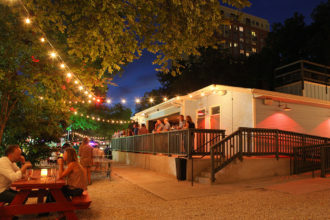 Austin, Texas has been a hotbed for craft beer, spirits and cocktails for years now, and with so many options, it can be tough to zero in on the best places to check out if you’re short on time. The annual South by Southwest festival is a great excuse to explore the city’s drinks scene, and we’ll be headed down for the SouthBites interactive track this year, so in addition to revisiting spots like Craft Pride and Houndstooth Coffee, we’ll also checking out new places like Small Victory and Roosevelt Room. Here’s a quick guide if you’re heading that way. 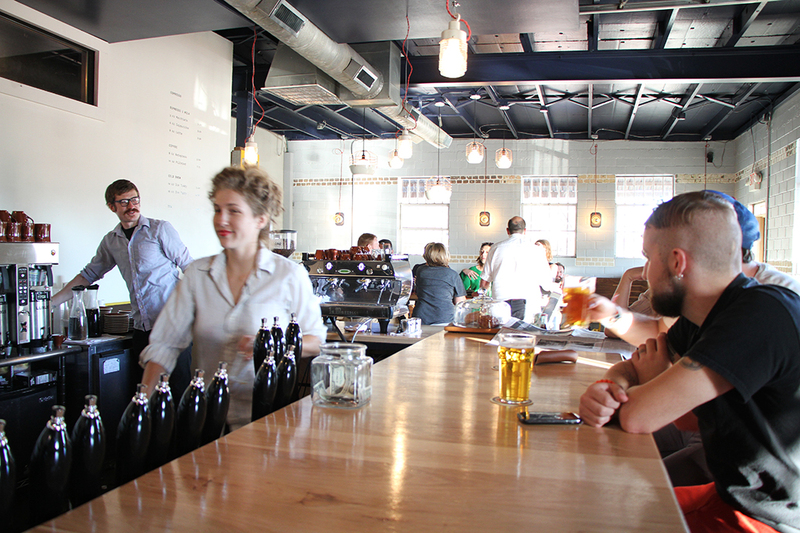 Austin has quite a few places to simultaneously satisfy your coffee and beer cravings, but perhaps none so charming as this bright and relaxed space on East 5th Street. Owned and operated by two brothers, Wright Bros. Brew & Brew is a haven for coffee and beer, with 38 taps featuring an assortment of local and national beers, and coffee from local roasters Flat Track. It’s great place to connect with friends, knock out a quick business meeting or simply refuel between day parties. Open for the music portion of the fest only (March 16th onwards). Hailing from the people behind the beloved Black Star Co-op, Blue Owl is the city’s first brewery to focus entirely on producing sour beers. The sassy sours are bringing the heat in a market that’s saturated with quality brews. Professor Black, a sour dark cherry stout, is big and boozy; an ideal option for those well-versed in the style. Not a sourhead? Don’t despair—the Little Boss, a slightly tart wheat beer, is creating converts by the day. When Townsend opened last summer, the word sent ripples through the bar world, as partners Steven Weisburd and Justin Elliott (Qui, Volstead) announced the bar would reward bartenders with royalties on cocktail sales in addition to the standard tipping system. Bob King (East Side Showroom) is the bar manager, working in tandem with Elliott to devise the creative menu of fresh cocktails. Try the Toronto Buck on tap, a wild west mix of high-proof rye, Fernet-Branca, lemon, ginger beer, orgeat and aromatic bitters, and stay for a show in the bar’s back room performance venue. You can’t visit Austin without sampling one of the local margaritas. A relaxed, distinctly Southern hospitality defines the vibe at Half Step, but it’s the cocktails that keep people coming back. Any of the house drinks are a good bet, but the Margarita on tap is one of the finest around, made with perfect proportions of tequila to citrus and served on a refreshing bed of crushed ice. Kick back on the patio to soak up some local tunes under the lights, and you’ll be surprised how quickly time flies. Head (slightly) out of the hustle and bustle of downtown’s core and head to South Lamar’s newest food and drink hotspot to check out the bright and airy VOX Table, where the brunch cocktails are matched with rich, delicious Southern food. Under the watchful eye of beverage director JR Mocanu, a talented crew mix up quirky cocktails with fresh ingredients (and just the right amount of tongue-in-cheek attitude). The bar just rolled out a new table-side cocktail service program, and if you feel like making a day out of the visit, head over to the Alamo Drafthouse afterwards for a beer and a movie. This riff on a 19th-century classic gets a boost with the addition of lemon juice and Peychaud’s bitters.